It is a great year for blueberries in upper Michigan this summer. 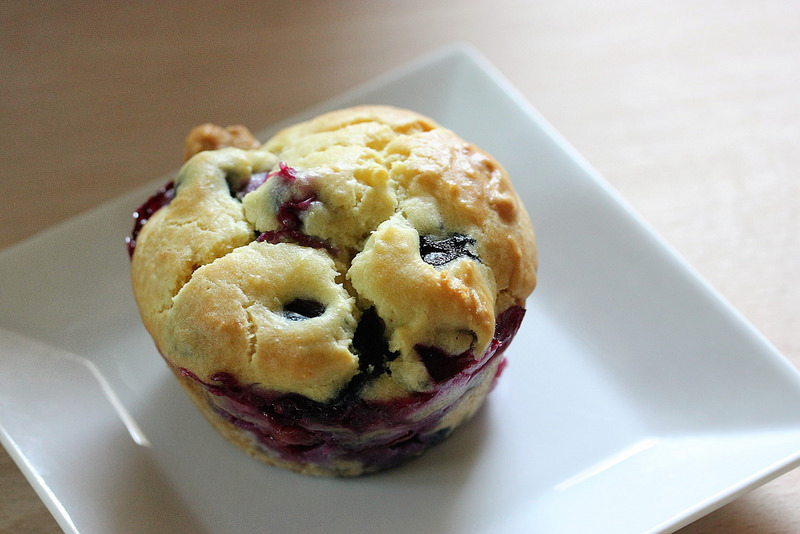 I decided to put some of the berries to good use and put together these blueberry muffins. 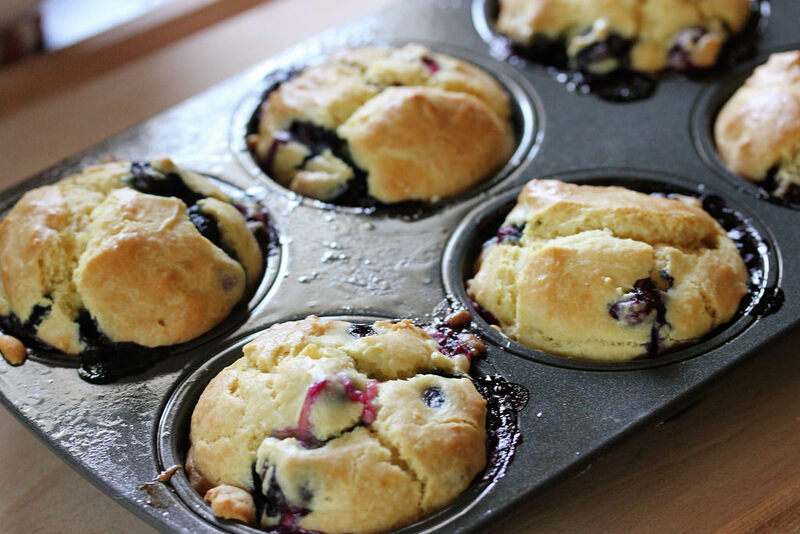 These blueberry muffins are moist and delicious. I think I went overboard with the blueberries a little bit, but no matter they are so good; but 1 cup would be just right. I also used Splenda instead of sugar. Lightly spray muffin tin with cooking spray – 12 regular or 6 jumbos; can also use paper liners. In a large bowl whisk together all the dry ingredients – I included the sugar in this mixture. In another bowl mix together the eggs, cream cheese, half and half, and vegetable oil until well combined. Pour the dry ingredients into the wet ingredients and mix until batter is smooth and then gently fold in the berries.